This is a new Funeral idea that could help people with their ‘passing’ needs! 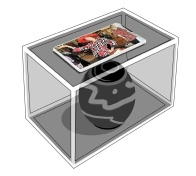 It seems that normally, at the end of the funeral process a persons ashes are returned in a box and then the family is left to dispose of them privately? Unfortunately, many people take the ashes to famous beauty spots to release them, and the amount of ashes being disposed of in this manner is damaging the flora and fauna in those areas...... Something has to be done to help stop this! To this effect, I would like to introduce an idea I’ve had for many years that could help people deal effectively with their ‘passing ‘ needs in a new and different way. 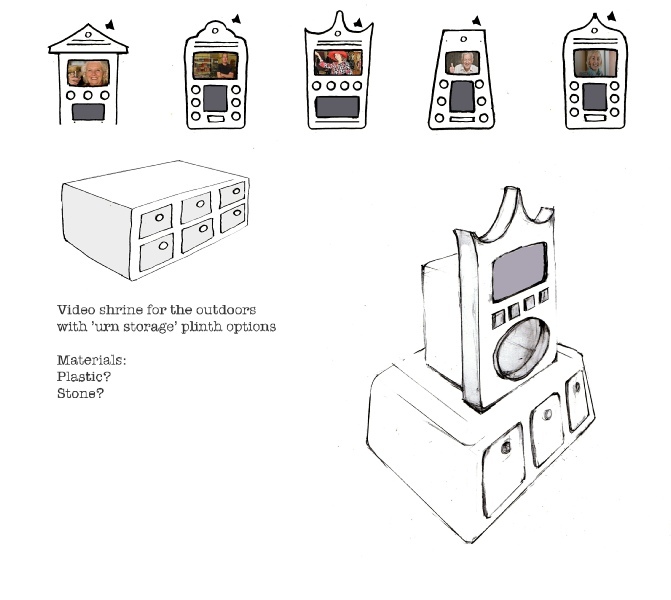 The idea is to provide a series of attractive and practical shrines’ for both family and individuals that can be kept either in the home or outside in the garden. 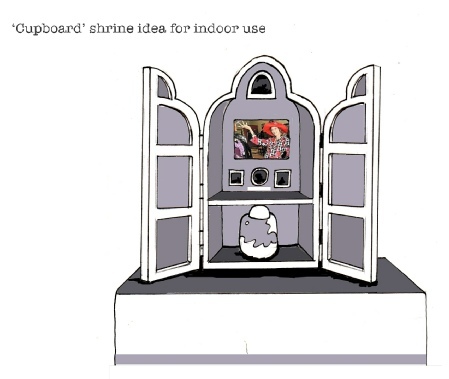 The big difference about these shrines is that they are fitted with video screens. This enables a person to download ‘their best advice for living’, (or whatever message they wish to record) in to the unit before they die so that afterwards, a person can play the video of the the deceased persons message. 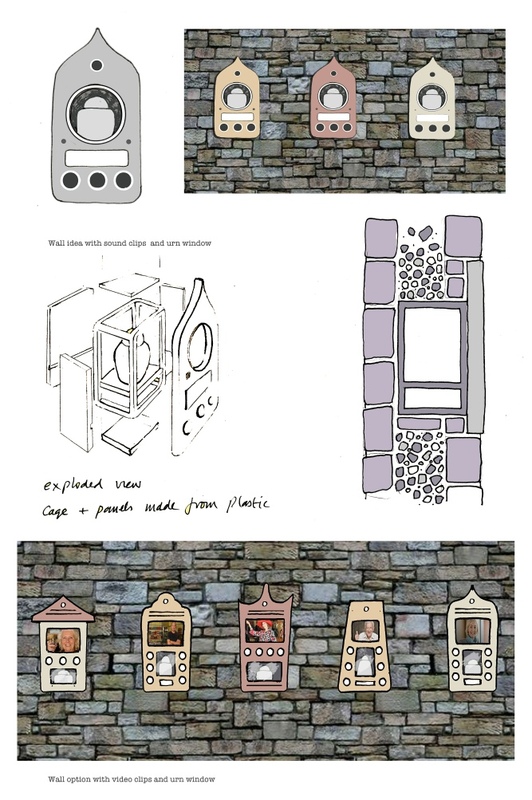 This Shrine idea has two effects, it will stop human ashes from being scattered all over the place and destroying the beauty spots, and it gives the dying an opportunity to ‘have the last word’ so to speak, - personally, this bit really appeals to me! Also, if there was a ‘family’ shrine in the garden with some of my relatives already in there, I feel it it would give a person a very immediate ‘end point’ reference, - because I would know exactly where I will be going! With this in mind, it might have the effect of making people more philosophical in their outlook? I can see that young people would continually be updating their ‘best wisdom for living advice in to the shrine, - and this practise would naturally encourage them to have a Higher perspective on things? These shrines are movable, can be made for indoors or outdoors, can hold a single individual or a couple of generations of one family. They could be made from a variety of materials, - but recycled plastic would be the perfect thing to use. They could be very beautiful indeed!